Surgical medicine has made major advances in recent years. The da Vinci® Surgical System is a minimally invasive surgical tool that uses robotic technology to perform a number of gynecological procedures. 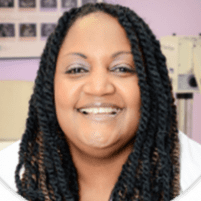 Angela Hudson, MD, at Women’s Healthcare Center of Georgia in Powder Springs, Georgia, is a skilled gynecological surgeon who uses the da Vinci system to perform a number of different surgeries. To learn more about your surgical options, call the office or schedule a consultation online. The da Vinci is a minimally invasive surgical tool that uses advanced medical technology to help Dr. Hudson perform delicate surgeries using small incisions and less risk. The da Vinci Surgical System is equipped with robotic technology that allows Dr. Hudson to make precise incisions using tiny instruments attached to robotic arms that follow the exact movement of her hands from the console unit. She uses a laparoscope, which is a surgical camera, to act as her eyes as she views the surgical site on a monitor to perform the procedure. In some cases, Dr. Hudson may be able to use the da Vinci technology to perform a hysterectomy using just one incision. Who is a good candidate for the da Vinci Surgical System? Dr. Hudson determines if you’re a good candidate for minimally invasive surgery with the da Vinci system based on the type of surgery you need, your current health, and your surgical history. While the minimally invasive treatment may be preferred, it may not make the best choice for everyone. Dr. Hudson wants you to have the safest outcome possible and uses her medical expertise to determine the best surgical method for you. Surgery of any kind can cause you to feel nervous and anxious. Dr. Hudson does her best to ease your mind by providing details of what to expect before, during, and after your procedure. She wants you to be informed about your health and aims to provide you with the best treatments available, which is why she offers robotic surgery with the da Vinci as a surgical option. To see if you’re a candidate for minimally invasive surgery with the da Vinci Surgical System, call Women’s Healthcare Center of Georgia. Or schedule a consultation online.